The Humble Telltale Bundle has been upgraded, delivering both new purchasers and existing owners four additional games and an additional DLC pack for one of the bundle's existing games. This adds a lot of additional value to this already popular bundle, which has already sold over 100,000 copies. One of the key additions to this bundle is The Wolf Among Us, one of Telltale's most iconic releases. This game is set to receive a sequel in 2018, making now a perfect time to introduce yourself to the series. 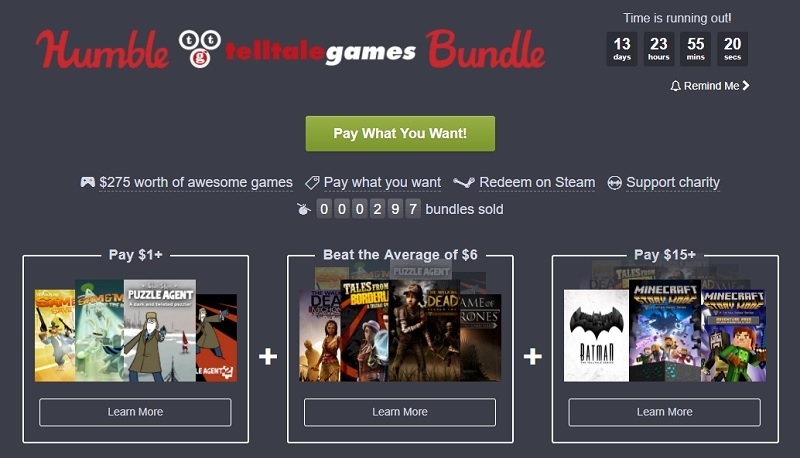 You can purchase the Humble Telltale Bundle on the Humble Store. You can join the discussion on the Humble Telltale Bundle on the OC3D Forums.